Q: How secure is our league information once we start using GameOn? A: The GameOn Sports Management Solution is designed using open source software and security best-practices. The software is served via https over a Secure Socket Layer (SSL) connection. The database operates on an industry standard MySQL database server giving limited access to users. In cases where there is particularly sensitive information that must be stored in the database, those specific fields are encrypted (for example bank account numbers for game officials, should you choose to implement Direct Deposit payroll). Q: What levels of access can I assign to different people within my league? A: Our solution is delivered complete with a client-configurable, robust Roles module. Every user of the system is issued a username and encrypted password and is then granted specific roles by an administrator. Common roles include, but are not limited to: Administrator, Scheduler, Assignor, Official, Coach, Division convener and Registrar. A single user can have any number of roles specific to the different organizations that may be represented in your database. For example, a user could be an administrator of one or more leagues, a coach, a referee, a player, and so forth with only one sign-in. Roles can be added, removed or modified by the client. The client can modify what modules the role has access to and the client can modify what functions or datasets the role can access. Q: How do I register players? A: The GameOn Sports Management Solution offers a Player Registration module that allows coaches, players or parents to register for league, team, camps or tournaments. Registration is configurable by an administrator, allowing you to create registration profiles for players, coaches, goalies, etc. and define what information must be collected for each. Each person is registered to an organization, and that organization and the groups it belongs to in the system hierarchy are the only subset of users who can view/approve the player for play. Upon registration the user will be asked to submit payment. Depending on the registration configuration this can allow online payment, or collection of cheque or cash. Organization administrators will have the ability to manually register a player, and we can also offer an import process for standardized roster registration forms. Q: How do register a team? A: The registration module includes a solution to accept team registrations. In this scenario a person registers as a user of the system and can then register a team for inclusion in a league or tournament. The user who registers the team is automatically granted team administrator access and can manually add people to the roster, or accept/approve registrations to the team roster. Each team is registered to an organization, and that organization and the groups it belongs to in the system hierarchy are the only subset of users who can view/approve the team details. To simplify roster approval in the case of Team Registration, we can offer an "approval code" option where once the team is registered, this approval code is made available to the team administrator so that they can communicate this code to their players. When these players then register for the roster they will be automatically approved, without the need for intervention by the Team administrator. Q: I am registering a bunch of single players into the system and would like to build teams now. How can I do this? A: For the Youth league and other leagues who will do player-level registration, we offer a Team formation module. This module will allow the League or a District to create teams and then drag-and-drop the available players in the age-group onto the teams to complete rosters. We include the ability for the league or district to place out-of-age players on teams as an override, requiring a note from the administrator to approve. Each user using team formation will only be able to roster players who are available to their organization. This will include players who have successfully been transferred. Q: How are payments processed online? A: Our registration module offers organizations the ability to collect and account for different registration fees all at once. Q: What about the database information from my previous website? Can I keep that? A: The GameOn Sports Management Solution maintains history of games, teams, rosters, standings, discipline, evaluations, etc. as standard practice. We see no barriers to our ability to transfer and maintain any existing data that the client has available. Q: How does GameOn handle player cards? A: The GameOn Sports Management Solution supports photo uploads for each person registered in the database. We provide administrator tools to print all unprinted cards in bulk, individual cards, all cards for a specific team, from a specific District and any other required collections. Q: I see a number of schedules when I am looking through our league website. What is the difference between them? a. Public schedule: Our solution includes a public schedule that can be browsed by any website user. This schedule can be filtered in a number of ways so that a user may view the schedule by division, pool, team, etc. b. Personalized schedule: Our solution also includes a personalized schedule for registered users (ie. Officials, Team staff, Players, etc). The personalized schedule displays all of a user's events, and color-codes them separately. This includes games played as a player, as a coach, as a parent; officiated as a referee, timekeeper; games to attend as an evaluator or mentor; and so on. The personalize schedule can be synchronized with an individual's personal calendar via Outlook, Windows Live, Google Calendar and iCal. It can also be synchronized with a smartphone so that the user always has access to their schedule while on the go. c. Team pages: Each team has a team page that displays the team's specific schedule and standings. The page can also include team news and a roster listing. d. Practices and exhibition games: Team staff can add practice times and exhibition games to the schedule so that players and parents have one resource to go to where they can view the entire schedule for the team. Practice and exhibition games can be kept private or made public at the discretion of team staff. Q: My homepage has something called "Dashboard" in the top corner. What is this? A: The GameOn Sports Management solution includes a dashboard that can appear as a widget on your homepage that communicates a number of items quickly to any user when they visit your site. This includes their next game as a player, official or team staff as well as a quick list of any menu items that contain action items. Q: We need to discipline a number of players from the games this past week. How this work? A: The GameOn Sports Management Solution provides a disciplinary module as a standard option. It can be modified easily to meet the needs of the client. Our disciplinary module is based around the Incident Report. The Incident Report is a form that is accessible via the schedule only once the game has passed. As delivered it is available to both Officials and Team Staff, as it may be used not only to track penalties, but also grievances against team members or fans, as well as performance complaints about referees. The Incident Report form changes dynamically depending on the user completing it. For example, a Team Staff member cannot submit a penalty report. When an incident report is completed it is stored in the database as an open incident and the appropriate parties are notified automatically by email. In the case of a penalty, the coach of the team involved is notified, as is the Penalty administrator; in the case of official performance the assignor is notified; in the case of a grievance against a fan the District administrator, club administrator and/or division administrator would be notified. Incidents remain open until one of the administrators contacted records substantiation and marks the incident as founded or unfounded. If disciplinary action was taken, details are recorded on the incident. At any time a report can be generated of all incidents recorded about a specific person or team. Q: I want to start assigning referees. Can you talk more about how this works? 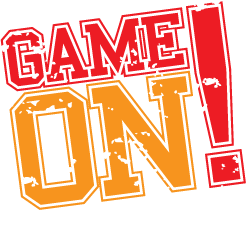 A: The GameOn Sports Management Solution offers a fully integrated and automated Game Official Assigning module. This assigning tool is robust, allowing for any number of officials to be assigned to a given game, and allowing for the assigning of more than one type of official. For example both referees and timekeepers can be assigned via this module. Assignments can be pooled into multiple assigning groups so that different assignors are responsible for assigning separate subsets of games and so that each assignor is responsible for assigning different official types (i.e. different assignors for refs and timekeepers). The assigning module is rule based and these rules are configurable by the client. Q: Can I manually assign referees? A: Assignors have the option of manually assigning each game. Simply enter your officials names in the slots provided. Q: I don't have the time to set the referees. Can the system automatically do it for me? A: Assignors can use the auto-assignor to automatically assign games based on one of 6 algorithms that they can choose from. The algorithms will take into account official capability, availability, field selection, among other criteria. Additional criteria can be added if our delivered algorithms do not meet your requirements. Q: It is time to review the performance of our officials. Does the system have a way to generate a report, then track their development for future reviews? A: The GameOn Sports Management Solution offers a module for tracking and scheduling Official development. MSA would have the ability to create and configure their development plans, and then manage the scheduling of development. Evaluators/Instructors will have access to tools that help them schedule development times that fit into their regular schedule; as well as access to review past development reports on an official prior to meeting with them. Officials have access to view their past development report history and monitor their improvement. Development reports can have an immediate impact on auto-assigning if evaluations indicate that an official's capabilities have improved or declined. Q: Payroll is very important to us. What options are available to us? 1. Differing pay-rates by age group, game type, etc. 4. Manual adjustments such as payment errors, bonuses, etc. Payroll can be calculated and reported separately by assignment group (i.e. by who assigned the games). Pay statements are available online for Officials, showing their total pay, and a breakdown of each assignment in the payment. If a League is interested, we can offer payroll output files for Direct Deposit payments, and we can work together with you and your bank to setup Direct Deposit payment so that you no longer need to cut cheques for your officials. Q: Our coaches would like to evaluate their players several times a year as a learning tool. Can I get information about this please? A: The GameOn Sports Management Solution offers a configurable Player Evaluation module. A league can define their own evaluation form, and collect evaluation data on each player on the frequency of your choosing. 1. Player report card: Displays the player's most recent evaluation along with a photo and boilerplate information, such as name and team. Printable as PDF for delivery to the player. 2. Player Analysis: Displays a period-over-period graph of the player's evaluations showing the period-over-period improvement. 3. Team Analysis: Displays a chart of the overall evaluation rating of each player on the roster with an evaluation, along with the team average. This chart can be integrated into the team formation tool used at registration. Q: Help! Is there a faster way to set all the games in this tournament? A: The GameOn Sports Management Solution offers an Auto-scheduling system for game scheduling. It is currently functional for tournaments, and in beta-testing for league scheduling. The system is based on recorded pitch times and scheduling best practices. One or more administrators record the available game times (including location) and assign rules to the game time regarding who can use it as a home team. Each division is then configured for the type of schedule to be run (i.e. Round-robin, single knock-out, double knock-out, etc.) how many games to play, and so forth. At the touch of a button, the system predetermines the team vs team matches and then fits them into the available slots based on team availability and other restrictions. Currently in design is a semi-automatic scheduling tool that will output the team vs team matches for a scheduler, and then provide easy tools to select available slots, similar to how the semi-automatic assigning tools work. Q: Our tournaments are a pretty big deal. We would prefer a website just for our tournament, if possible? A: On the tournament front, we are able to offer secondary websites for tournaments that can take advantage of a) all of the tools provided by the GameOn Sports Management Solution as well as b) the fact that the schedules of teams and officials are integrated in the same database. The league could offer local sanctioned tournaments the opportunity to pay a nominal fee to the league to utilize the tournament module, giving the tournament a method of collecting team registration and rosters, scheduling their tournament games (avoiding conflicts with league schedules) and assigning officials (avoiding conflicts with other officiating requirements). If the tournament would like it's own custom website, we can provide that at a cost to the tournament organizer. Q: Can the system display a traditional bracket layout for our tournament schedule please? A: The GameOn Sports Management Solution offers a Bracket display for game schedules as well as the ability to load a game schedule based on seeds and winner/loser combinations (such as single-knockout or double-knockout). This is often useful in playoff situations or tournaments. Each league can opt to display a bracket of their schedule or not. When a bracketed game schedule is scored, team names are automatically populated to the next games in the bracket upon scoring. Q: When scheduling, is there a way to determine if a match will be fair? A: The GameOn Sports Management Solution offers a statistical modeling tool to help understand the competitiveness of teams in a given Division of play. Using game results, the competitive analysis module runs statistical models to determine the likelihood of a given game result between each team in the division. This provides a predictive probability analysis that differs from normal statistics calculations. Q: We may need to pull information out of the system for our Report to the Board. Can we do this? A: The GameOn Sports Management Solution can offer the ability to administrators to import or export data from nearly any data source in the product. This includes, but is not limited to Schedules, Rosters, Teams, Divisions, etc. Q: We manage several leagues that share players and officials. How would this work? A: We can offer the ability to have multiple websites integrate with one database to facilitate each league having an independent website utilizing the GameOn Sports Management Solution while sharing pooled resources such as players, teams and officials. We can provide web design and hosting services for League or District websites, or we can integrate the GameOn Sports Management Solution into existing websites.